That person whose name you dread reading in an e-mail. The one you let go to voice mail so you can brace yourself before talking with them in real life. The one who makes your blood pressure rise just a little when they take a chair at a meeting next to you. Most of the time, we don't get to pick the people we work with. Difficult clients and co-workers are just part of the equation. Steve, the obstructionist. Steve is a big ball of "no." Regardless of what your team is trying to achieve on a given day, Steve will be the obstacle. Rachel, the master manipulator. Every conversation winds up with you accidentally committing to something that meets her priorities while sidelining your own. Kevin, the incompetent. You need to be able to throw the ball to him and have him catch it, but that is never going to happen. Not only that, but Kevin is full of excuses as to why he didn't get things done. Kassandra, the rager. You never know what is going to spring her trip wire. Carl, the critic. Regardless of how amazing the idea is that you just put on the table, Carl will zoom in to highlight the insignificant item that isn't absolutely perfect. Almost every move Carl makes is designed to make himself look good and others look inferior. 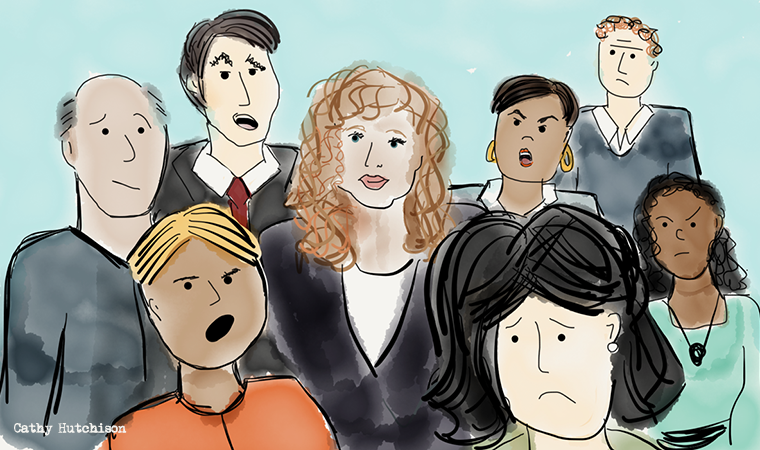 While dealing with difficult people is an unchangeable fact of life, there are some surprisingly effective strategies to switch the game regardless of the variety of difficult person you are dealing with. 1. Narrow your focus. Identify your goal. Making your goal to get a difficult person to change is a Herculean task—one that drains your energy and has a negligible success rate. Dropping the fantasy that it is even possible, changes how we come up with solutions. So narrow the focus to what you have influence over and identify your goal. With Steve, the obstructionist, you want to be able to get things done. With Judy, the complainer (or Playwright Mike), you want to work in a positive environment. With Rachel, the manipulator, you want to quit being railroaded. With Incompetent Kevin, you want to prevent mission failure. With Kassandra, the rager, you want to not have to walk on eggshells in meetings. With Carl, the critic, you want collaboration and contribution in healthy ways. If we can narrow our focus to zoom in on what we actually want, we stop the futile brainstorming on how to make the difficult person better (an impossible task), and begin to put energy toward meeting our actual goal. 2. Solve for what you want, but treat the person as a fixed variable in the equation. If you were solving the problem of getting what you want without the emotion attached to it, what would you do? Remember that the person is a fixed variable in the equation. They are not going to magically get fired or suddenly move to Morocco. What are your options if there is absolutely nothing you can do to impact the difficult person? Judy is a huge complainer—and she sits right next to you. Every day her dripping of negative commentary drains your energy. What do you want? To be able to work in a positive environment. While you have the option of confronting Judy, most of the time negative thinking is so ingrained in people that they can't see it. (As a general rule, telling someone they are not self-aware isn't helpful.) If Judy is always going to be toxic, what can you do to get to a more positive work environment? You might be able to rearrange your office space to have less physical contact with Judy. You could apply for that promotion. You could try working from home. You could throw on some headphones and stream more positive messaging. You can create strong psychological boundaries at work and limit your interaction. 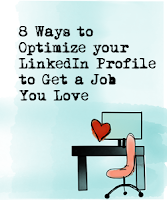 You could look for a new position with a different company. Kevin is just incompetent. You need to be able to throw the ball to him and have him catch it, but that is never going to happen. Not only that, but Kevin is a blamer and is full of excuses as to why he didn't get things done. What do you want? To prevent mission failure. Hopefully at some point Kevin gets fired—but you can't count on that, especially if Kevin is the owner's nephew or if he is really good at playing a shell game with his responsibilities. If Kevin is always going to be incompetent, what can you do to prevent mission failure? 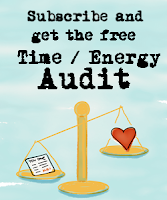 You could get creative with your budget and find a way to outsource some of Kevin's tasks. You could go around Kevin and do it yourself so the mission is met. You could check your bias and see if Kevin is really incompetent at everything, or just some things. You could be proactive put redundancies in place to protect from failure. You could implement reminders for the team that happen to help Kevin out (or out Kevin). You could speak with your boss about where the points of failure are without actually complaining about Kevin. You could look to transition to a different team. Solving for what we want without attempting to "fix" the person, gives us far more possibilities. But it isn't easy. By the time someone gets to "difficult person" status in our head (or more disparaging terms that probably shouldn't be typed out here) there is already a lot of emotion attached. The brainstorming is more effective if you can minimize the angst you feel while doing it. 3. Figure out why it triggers you. Tony Schwartz in his HBR Article, "The Secret of Dealing with Difficult People is About You," writes, "Our core emotional need is to feel valued and valuable. When we don’t, it’s deeply unsettling, a challenge to our sense of equilibrium, security, and well-being. At the most primal level, it can feel like a threat to our very survival." The reality is that we deal with difficult people all the time, and often, it just slides right by us. Yet, when we encounter someone who especially triggers us, it often touches something that makes us feel threatened in some way. Rachel, the manipulator, might make us feel stupid, like we've been tricked. Or she might cause us to feel powerless. Whereas, if we were less emotionally triggered by Rachel, we would likely go back after committing to something and let her know that after more evaluation, we can't take on that project after all. We wouldn't care what she thought about us, and we wouldn't be intimidated by the hard conversation. The Momentous Institute has a strategy they teach young children: "Settle Your Glitter." Remember the bouncy balls filled with water and glitter that would get shaken up when you bounced them? Look inside a shaken glitter ball and you can't see through it, but once it settles, you can see clearly to make a good decision. 4. Find your growth edge. If we keep running into the same type of "difficult person," there is a good chance that we are encountering a normal person who just happens to uncover a place we need to grow. In the examples of Steve, the obstructionist or Carl, the critic, we may need to develop a black belt in communication skills. Or we might need to improve our process so we weed out concerns before they become objections. Or we may just have to improve our professionalism to a point where we can let the work be the work without feeling like critiques are a commentary on our soul. Since the difficult person is a fixed variable in the problem, then often the only power we have is to get better ourselves, so that it has less impact. Difficult people can be an invitation to our growth edge as a signal that its time to make a change. 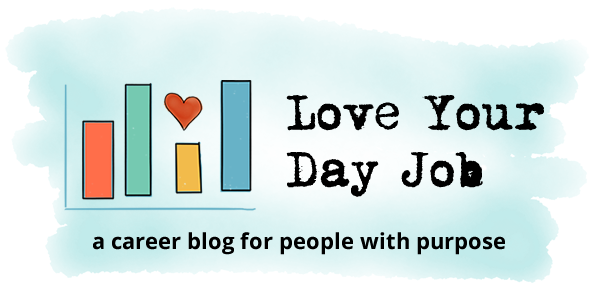 Love Your Day Job is a career blog with passion-fueled resources to give you more joy and purpose in your work life. Want a better career? Stop chasing jobs. © Love Your Day Job • Theme by Maira G.